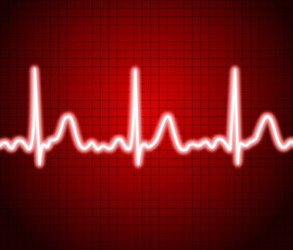 Heart rate reserve is the difference between your maximum heart rate and your resting heart rate. As such, this heart rate reserve calculator subtracts your measured resting heart rate from your age based maximum heart rate estimate to determine your heart rate reserve. Since resting heart rate decreases with increased cardiorespiratory fitness, the difference between maximum heart rate and resting heart rate will increase with increased fitness. Therefore, the more fit you are the greater your heart rate reserve will be. Heart rate reserve is typically utilized to establish heart rate based training zones according to the heart rate reserve method (also called the Karvonen method), and one of the benefits of using the heart rate reserve method to establish heart rate training zones is that it accounts for fitness level (as opposed to age based maximum heart rate training zones, which do not account for fitness level). The equations used by this calculator to determine your heart rate reserve are shown below. Note: This heart rate reserve calculator estimates maximum heart rate according to the Tanaka method, as opposed to the classic method (where maximum heart rate is equal to 220 - age), because the Tanaka method has been demonstrated to be more accurate.